These jurassic wall stickers for little adventurers feature lovely designs of t-rex and other dinosaurs along with little rock and grass stickers. 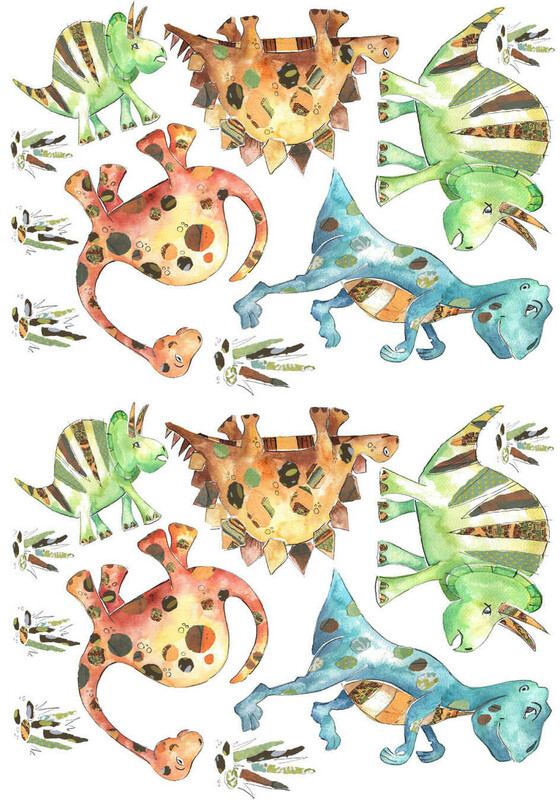 These colourful kids stickers can be fixed to any flat surface and look lovely in a dinosaur themed bedroom. Our kids stickers can be removed and repositioned without leaving any residue.